With our huge information of this market, we are indulged in providing an exceptional collection of VCARE Power Bank (S15). 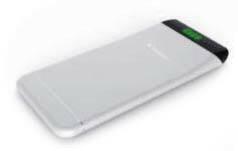 The offered power bank is designed and developed with utmost precision using modern methods and latest technology in strict compliance with the international standards. This product is tested on different parameters by quality controllers to ensure any kind of defects under the guidance of our experts. We offer this power banks to the customers at most affordable rates.